With the prize of a guest pass to attend AusRAIL, the Next Generation Conference Scholarship Program was launched in 2017 to encourage young rail professionals to share their ideas and network with industry. The ideas submitted ranged from promoting workforce diversity, creating new rail stories and social media communication to relieving urban congestion and a Thomas the Tank Engine for teenagers and adults. 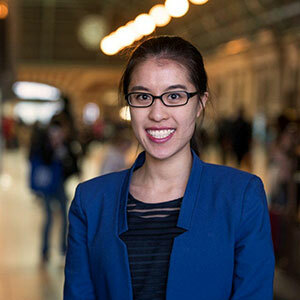 We recently caught up with three of the inaugural scholarship recipients, Nicola Chung, Transport for NSW; Bombardier’s Maxim Karpyn and Asimina Vanderwert of Metro Trains Melbourne, to track the progress in their professional rail journeys. What inspired you to submit your idea? 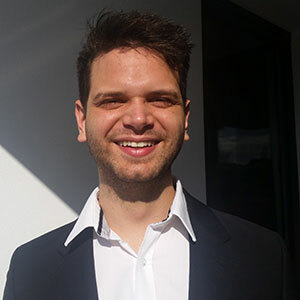 Nicola’s idea was to take the appreciation of rail as personified by the popularity of the Thomas the Tank Engine cartoon to the next level by creating a game in the form of a mobile app, with different segments and levels of difficulty, where the player is in charge of operating a train through a set of challenges while still getting passengers to their destinations on time. Maxim’s idea of evoking stories promoting the “feeling of better trains” was also inspired by observation, albeit a different one. “I believe people are in love with cars. Cars are glorified in the media and they represent many things people want such as freedom, wealth and independence. This, I find, translates in the way people vote. “I want to drive my car without traffic and park it close to where I want to go,” is a statement that prompts politicians to build more roads and car parks. Have these ideas moved any closer to reality? Asimina’s idea looked at strategies and benefits for encouraging workforce diversity. “The next 10 to 20 years will be a busy time within the railways, with massive investment taking place in Australia’s rail infrastructure. This is the perfect time to promote the rail industry within the community, especially with the variety of work and opportunities. A diverse culture is critical to achieve this, as it allows for better solutions and ideas for the future. Leadership is needed to help action these ideas and Nicola’s scholarship was recognised by Transport for NSW. She was invited to speak with the organisation’s Secretary (CEO) to discuss how to implement the idea into the company, so stay tuned! Is attending AusRAIL valuable to rail professionals under 25? “It was great!” Maxim enthused. Collaboration, networking and the transfer of knowledge is critical to a better future for rail and this group certainly enjoyed meeting and learning from each other and others. Attending the AusRAIL Gala dinner and being seated with her cohort was one of the highlights for Nicola. It’s not surprising that since AusRAIL Plus 2017, all three have advanced their careers. 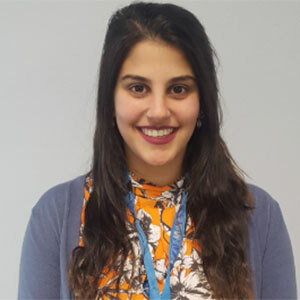 Asimina’s completed her graduate program at Metro Trains Melbourne and started a new role as Production Manager for Electrical Network Renewals within the infrastructure space. Maxim’s also recently changed roles and is currently working with electrical changes on a new safety feature in Bombardier’s E-Class trams. And Nicola, in addition to giving back by helping organise a field day with the RTAA is also acting in a role which deviates from her comfortable background of timetabling into project management and reporting. Judging by these three, AusRAIL’s Next Generation Scholarship program is a small investment in some big rail futures! 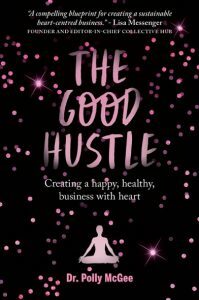 In addition to a guest pass to attend the AusRAIL 2018 conference and Gala Dinner, scholarship recipients will also receive a signed copy of The Good Hustle by Dr. Polly McGee, Author, Digital Strategist.